The duet partners have been announced, and boy are the days of Beyoncé behind us. THE X FACTOR finale is on on Saturday night. 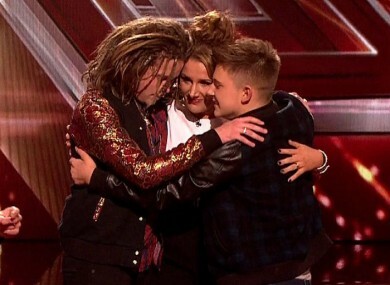 Contestants Sam Bailey, Luke Friend and Nicholas McDonald will compete for the title of 2013′s X Factor winner. As is traditional, they will sing songs on their own, as well as duetting with established artists. In previous years, these artists have included Beyoncé, Rihanna and Christina Aguilera. Top quality performers, it has to be said, and incredible experiences for the contestants who sang with them. This year things are looking a little different. Sam will be singing with one of the judges, Nicole Scherzinger, Luke will be singing with Ellie Goulding, and Nicholas will be singing with our very own Shane Filan. Email “Here's how far the X Factor has fallen ”. Feedback on “Here's how far the X Factor has fallen ”.